Obviously Fantasy Premier League has been around for many years, but still some hard-core EPL fans have yet to touch it. Statistically speaking, 55.9% people surveyed, started playing fantasy sport because they were invited by their friends. Perhaps, the reason you've yet to play is lack of invitation? Hence, please consider this article as an invitation, supported by sound justifications. Nothing beats the loneliness of watching EPL alone at home better than having personal vested interests in the players on the field. It's your virtual players that are on TV and if they score, your EPL fantasy team scores too, in fantasy points. Don't be surprise if you started cheering for the away team. 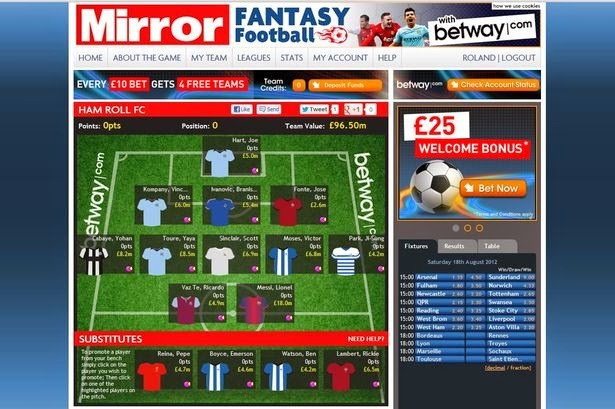 This is called the "Dream Team Syndrome"
You could now play on smartphone, tablet, featured phone, Facebook and even get to pimp your own fantasy premier league for free. More fantasy sites are offering prizes and cash to lure fantasy fans to start their dream team on their site. We are talking about up to £50,000 prize pot! President Obama plays it too! So do have a go on a fantasy league and do enjoy the upcoming season with more excitement compared to the last. 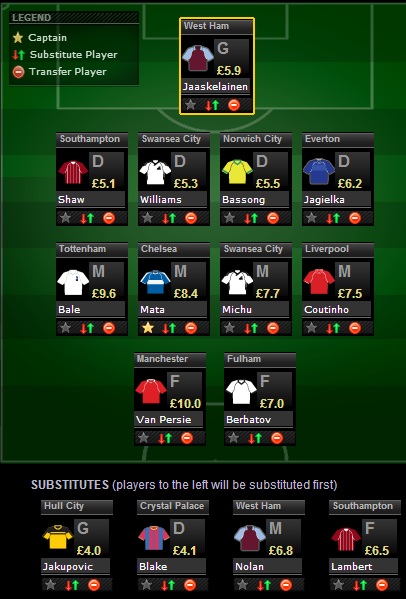 Fantasy Premier League is back for the 2014/15 season. An interesting season is surely ahead, which will include good games played by great teams with some excellent players strutting their stuff. In this piece I'll be highlighting the players that could have an outstanding season, even though not much is expected of them. There is always one player that shines brighter than expected, in the 2012/13 it was Michu of Swansea City, who has recently moved to Serie A side Napoli on a season-long loan deal. In the following season it was Arsenal's Aaron Ramsey. The opportunity is there for someone to have their dream season, the question is, who will it be? The first player I think is going to have a productive campaign is Danny Ings of promoted side Burnley. The twenty-two year old striker scored 26 goals on his way to winning the Championship Player of the Year. The England international has never played in the Premier League before and it'll be interesting to see how he performs at the highest level. He's an inexpensive striker at £6.0 on FPL and he might just be the painkiller for those FPL managers suffering from "Life After Suárez". Crystal Palace and Tottenham had agreed an £8m fee for twenty-four year old Gylfi Sigurdsson. The Icelandic midfielder has struggled to get into the starting XI for the North London side and new manager Mauricio Pochettino has obviously not included him in his plans for the upcoming season. After the two London clubs agreed a fee, Swansea hijacked the deal and bought him. Likely to get a lot of minutes under his belt, he could be excellent for the Welsh side. At £6.0 he could be an absolute bargain if he proves his potential. West Ham's new addition Aaron Creswell will surely rack up a large amount of FPL points and the twenty-four year old could be a superb addition to your squad. The left back provided 16 assists for Ipswich Town last season and with a very defensive minded Sam Allardyce side that keep a fair amount of clean sheets he could become FPL Gold at a price of £5.5. Jonjo Shelvey of Swansea is my top hidden gem, it's looking likely that he will play an attacking role due to the departure of Michu. Having racked up 122 points on last year's game in a more defensive role, surely he could be in for a big season. At £5.5 surely he's worth a spot in your midfield. Honourable mentions go to Loic Remy, Thomas Ince, Joel Campbell, Mathieu Debuchy, Steven Naismith, Mark Noble, Joel Ward, Andy Carroll, Geoff Cameron and Harry Kane. FanXT is welcoming its new breed of fantasy football game called the Commissioner where it commissions every EPL fantasy fans the power to run their own fantasy league for EPL 2014/15 season. This platform offers unique customisation ability, where fantasy league owners can set their own rules like own overall budget, player values, fantasy points and even own site colour, logo, banners and domain name. Fantasy football enthusiasts could enjoy this game via the free and paid versions where free users with less than 10 members could run their league for free for the entire season but with limited features. Paying users shall enjoy full features when they choose to pay packages of $9, $19 or $999 per month, depending on the number of members they have in their league. Now, every Premier League fan knows that the Official Barclays Fantasy Premier League game is the biggest and most popular (2.6 million users to be exact!). What about the other alternative sites that you might not have experienced. 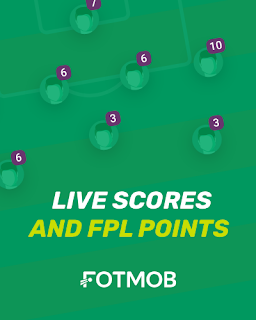 So here’s an introduction of what FPL fans may have missed out – lots cash prizes, customizable EPL fantasy leagues, more stats and best of all, they are free. If you’re bored of playing the same old FPL each season, why not try to pimp your own FPL? 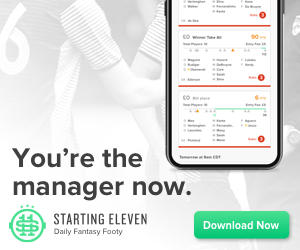 FanXT has this exciting new EPL fantasy game named Fantasy Premier League Commissioner where you could literally own and run your own Premier League fantasy football game. Now you see what you have been missing out? You get to customize your own player values, decide your overall budget and limit of transfers and, best of all, set your own scoring points for goals, shots on goal, assists, yellow and red cards and more. Did I say you could colour your game with your favourite colour, own logo and banner, and even having your own domain name? Best of all it’s free if you’re playing with around 10 of your friends. If you want more users, you gotta pay. This is a pretty standard EPL fantasy game, 15 BPL players with £100m budget, except that you get to win lots of cash prizes! The big difference is you could have Messi, Ronaldo or any European player as a wildcard player for your fantasy team. Other than that, features are pretty much the same but with less statistics (no shots on goal, no goalkeeper saves). Mirror made it to this list, mainly because their cash prizes are just so tempting! But here’s the bad news, the game is intended for play only within the United Kingdom and Republic of Ireland and is governed by English law. What this means is probably if you’re not residing inside these territories, you won’t be able to cash in the money, but you just need to contact them to confirm this. Yahoo Fantasy Premier League offer unlimited transfers, with the addition of substitutes and live score updates, injury alerts, news. Yahoo is actually one of the largest fantasy sports providers in the U.S hence most Americans use Yahoo for their fantasy sport than any other sites, but Yahoo needs to dig deep to see if they could pull through a good one for EPL. Chances are they might have solved their last season bugs. Can’t blame them, since they are working extra ordinary hard to “refocus”. It's still certainly fun, but there's little incentive to keep paying attention week after week and there are no customization options and zero prizes. ESPN is one of the fantasy providers that thoroughly provide similar settings with other fantasy football providers, except that they have their ‘Floating Budget’ uniqueness. This system is basically saying that it automatically calculates the differences between value you purchased that player and the player’s current market price. It takes the difference in price (+ or -) to applies that to your overall budget. The overall budget is flexible due to player’s performance. How you measure performance, well, well they post this kinda news called ‘Fantasy Gambles’ where they’ll post on each gameweek of the Premier League and the overall performances of the players. 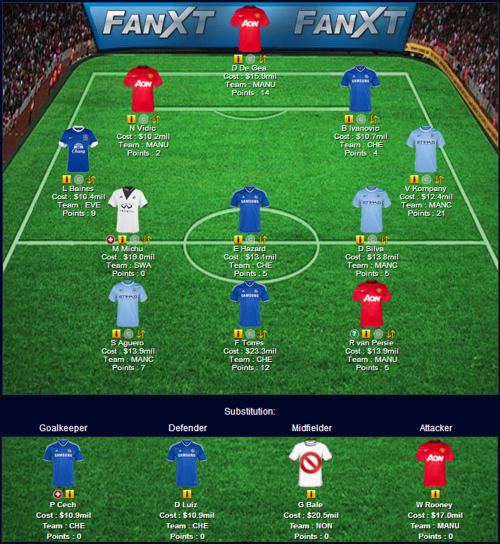 Posted by expert and reviewers, this section helps a lot in fantasy managers to pick the players in their team.